February 12th 2019 will be our World of Tanks Console 5th Anniversary!! HAPPY BIRTHDAY TO ALL OF US!! 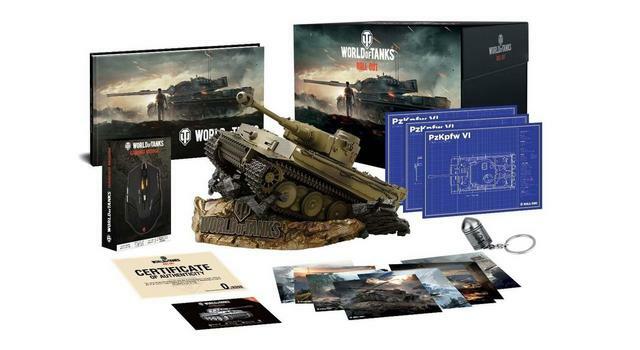 Join the celebration as we giveaway 2 of our World of Tanks Collector's Edition Box sets which will be signed by the World of Tanks Console development team!. Edited by RaiBOT01, 15 March 2019 - 08:02 PM. Anything that's not safe ? How about legal ? It's a fun game that is constantly changing. A place where friends can work together and show their skills (or lack of skills) and just have fun. Well, there goes my idea out the window. Back to the drawing board. Black Beret from Father to Son! 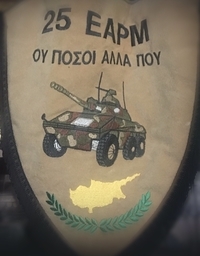 My Father was among the first commanders who brought AMX30B in the early 1990s in Cyprus, trained in France. Years later it was my turn to be a EE-9 Cascavel Commander. I am totally addicted with tanks! Edited by georgepapa83, 05 February 2019 - 09:20 PM. Over 5years on console...WOW! Not bad WGCB you have brought to console & transformed a successful franchise into a successful thriving & addictive game here that will last for years to come. You have done this while under enormous pressure from other games & from growth of F2P games console. I am a recovering addict & one of the main causes of relapse is boredom . After over 5years & the chance to be in & learn in the ST I can 100% say that your game has been a key part in my very successful recovery program. I have also had the honor of meeting people from all around the world thanks to WGCB not creating language ghettos in their separate servers as PC has done. Its one of the few games I am actually decent at, still remember seeing my kids playing it the first time and thinking wow that looks awesome, have enjoyed it since just after it started and hope to enjoy it for years to come! I love it because its not a point n shoot. It has angled armour. Armour thickness. Differant shells. Classes maps. Its brill been playong for years. Congrats Wargaming!!! 5 years of success! I love playing WOT Console because of the adrenaline this game gives, the battle's lenght and loading times are short enough to keep one waiting for the next one, and is also fun to watch the match if you get killed too. l love the updates and the addictive latest prizes/ops. to watch the match if you get killed too. "History writes our future listen to history the future will write its own. We are gamers not players we make history"
first I started on the PC version which got me into the game in the first place and all the fun I had on it. Then when I heard that it’s coming to Xbox on 360 days I was happy and play the beta to launch then even did the same when it hit Xbox one. I have a lot of fun with the game and some points of the game where it’s like why did this happen to me but making tier 10 was a pain to get but made it. I have watch the game change from start to it is now and I am happy they made the right choose of making it on console. I love the fact that there's a lot of historic tanks. Makes you feel like you're part of history.